So, as great fan of the Transformers franchise and lover of the Animated series, I decided to create a roleplay based around it. Here are few things you need to know before you sign up for the RP. 5-Due to obvious reasons any transformer beyond scale X is prohibited, however, combiners are not. 7-ALWAYS separate OOC from IC, I cannot stress this enough. 8-You can have as much characters as you want, but try to focus on quality over quantity. 9-Reference or description of your character should be provided as well as their Faction, Personality, Power, Weaknesses and optionally a backstory. Thank you for reading the rules of this small Roleplay. You can now sign up down bellow using the "OOC" tag for it. In addition, I wanted to start with character of my own, so I will compress it down to this post. Just to set an example of a character bio. 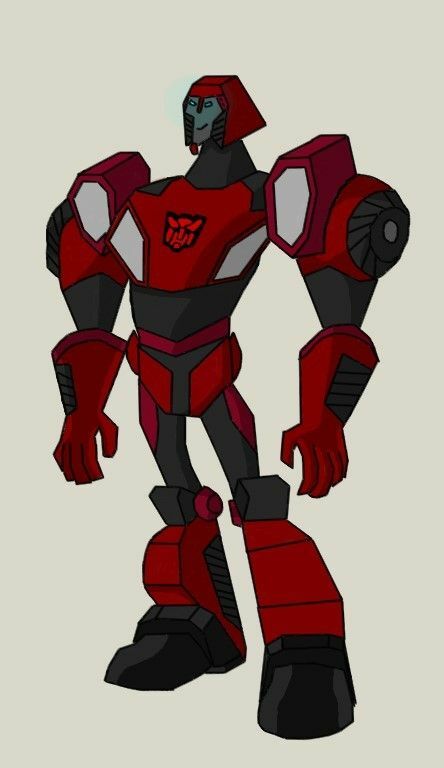 Personality: Brave and Perfectionist young Autobot with head hot as it can only get. Through he relies on perfection of his teammates, he himself knows it can never be achieved. Weaknesses: He is not one of the biggest bots nor he belongs to the strongest. The RP is currently running, you can still sign up bellow. Autobot players are currently preferred over Decepticon ones, thanks for understanding. Personality: A hyper-intelligent medical and intelligence officer with a massive superiority complex. He is a friendly soul, easily mistaken for an Autobot if he wants to be. Powers/Weapons: Super-Strength for a Bot his size, his hands can transform into either combat blades or plasma cannons. In Alt-Mode, his car can transform so the the plasma cannons sit on top, at the ready. Weakness: He is strangely empathetic, and often gets caught trying to patch up a wounded Autobot. He also gets annoyed by small irregularities. OOC: Regardless of your past reputation, I'm going to give you a chance. Remember, Decepticons are scattered and divided all across the Galaxy, one would be very daring to enter Cybertron's radius. yes! Another person who has read the comics!